An airline source told The Sun: "Cops rushed on to the plane and headed straight for the cockpit. The first officer was cuffed and led away." 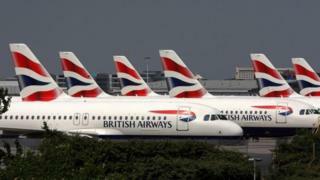 A spokesman for British Airways told the BBC: "We are taking this matter extremely seriously. "We are sorry for the delay to our customers. The aircraft remained at the gate until an alternative third pilot joined the flight crew." The Boeing 777 was due to leave Gatwick's South Terminal at 20:20 GMT but was delayed until just before 23:00.